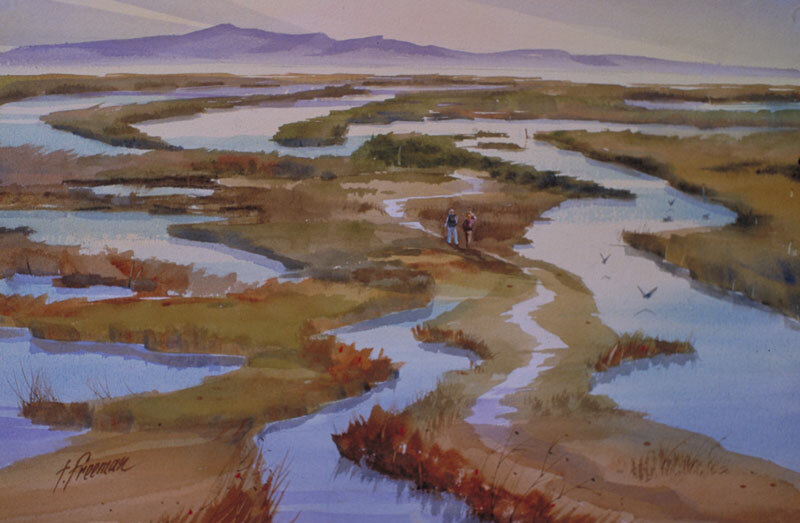 Thomas Freeman Original Watercolor Painting: "A Walk in the Marsh"
On the East side of San Francisco Bay I sketched this from an interpretive center that overlooks the marsh. The watercolor was a challenge because I couldn't decide on the lighting. I had the sketch over a year before arriving at the backlit view here. This won First Place, Watercolors, in the Menlo Park Art League's 2000 Annual Show.